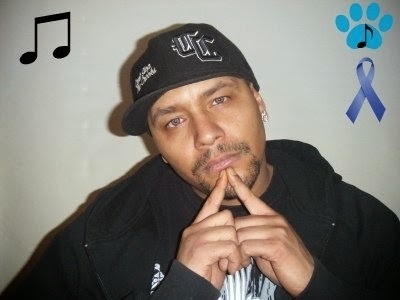 Jason Blackwood now known to the music world as Underdog, Jason has been in the game for years, with over 350 shows to his credit and a street rep that is second to none. This clever wordsmith/storyteller has the ability to captivate people, having them hangingoff his every word. His music is influenced by artists such as 2Pac, Eminem,Notorious B.I.G., Jada Kiss, 50 Cent, The Game, RedMan, MethodMan, LL.Cool J, Naughty By Nature, Black Sheep, And N.W.A. His Track "Every Dog Has His Day" Will be featured on Coast 2 Coast Mixtapes Vol. 275 It received the most votes overall and was the #1 Trending Track 2 days in a row. It's Currently Being played on Coast 2 Coast Radio , Home Team Radio , 2 Loco Radio and Jango. Also His Remix to "Written In The Stars" Will Be Featured On A Soundtrack For An Up and coming DVD Documentary Called THE GOOD, THE BAD & THE UGLY ABOUT THE INDIE MUSIC SCENE. His early and profound interest in music can surely be attributed to his own roots, Jason is son to multi-awardwinning Roots Reggae artist Errol Blackwood. Much like his father has done in his own genre, Jason plans to leave his own legacy in the hip hop world.